Bitumen bubble deflates as Redford visits Washington D.C. 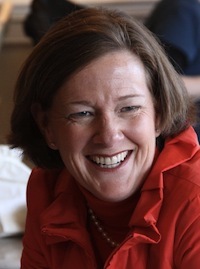 The “bitumen bubble” spin was unleashed by Premier Alison Redford during her January 24, 2013 televised address that claimed our province was in the midst of a fiscal crisis caused by the so-called “bitumen bubble” — the difference between the price Alberta can get for its heavy oil (Western Canadian Select) and what the world is willing to pay for Texas crude (West Texas Intermediate). On the day of Premier Redford’s January televised address, Western Canadian Select sat at $59.95 per barrel, compared to $95.95 per barrel for the West Texas Intermediate. Albertans were told this price gap was why our oil industry needs more pipelines and why our provincial government claimed it needed to institute financial cuts to public services, including a drastic 7% cut to post-secondary education funding. As of April 8, 2013, Western Canadian Select sat at $82.97 per barrel, compared to $93.36 per barrel for West Texas Intermediate. 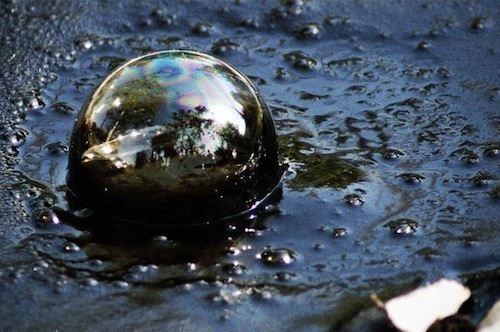 By some act of nature, the dreaded “bitumen bubble” has miraculously deflated. Alas, this price increase has little to nothing to do with our long-ruling Progressive Conservative government. Commodity prices are determined by international markets beyond the control of any individual government or ambitious politician. No new pipelines have been built in the meantime, but Premier Redford, along with International Relations Minister Cal Dallas and Environment Minister Diana McQueen, traveled to Washington D.C. this week to lobby for the approval of the TransCanada Keystone XL pipeline that would carry crude oil and bitumen from Alberta to refineries dotting Texas’ Gulf Coast. I expect the Premier has left the words “bitumen bubble” out of any speeches she plans make while visiting the American capital. During her speech at the prestigious Brookings Institute yesterday, Premier Redford argued the debate over the Keystone XL Pipeline has misled Americans about Canada’s oilsands. The Premier promoted Alberta’s new proposed carbon tax, defended the province’s environmental record, and championed the investment in two major Carbon Capture and Storage project (she did not mention that two other major projects have been cancelled due to poor economic predictions). Making a strong case for Alberta’s environmental record, Premier Redford’s economic arguments fell flat. She claimed that the Keystone XL Pipeline would create 75,000 jobs for Americans, despite the fact that a U.S. State Department reported the number of new permanent jobs could be as few as thirty-five once the pipeline is complete. Premier Redford also argued that the Keystone XL Pipeline would lessen America’s dependance on countries like Venezuela and Saudi Arabia for oil imports. As the proposed pipeline would end at major Texas ports, it is widely suspected that the corporations that would own the Alberta oil refined in Texas could easily ship it overseas to China or India, rather than sell it in the United States or Canada. Premier Redford’s fact-based talk was heavy in statistics, which unfortunately will have little effect on a national discussion about the environment and economy that is driven heavily by emotional arguments on both sides of the debate (as demonstrated by the hecklers at her speech). At least Albertans can be proud our leaders have come a long way since Premier Ralph Klein compared the causes of today’s climate change problems to “dinosaur farts” sixty-million years ago. Sitting at 29% approval in a recent Angus-Reid survey, Premier Redford is searching for a win in the American capital that could boost her popularity at home. Even if the Keystone XL Pipeline is approved, there will be no evidence that Premier Redford’s lobbying was the reason for its success. That decision will be made by President Barack Obama. President Obama hit California for some fundraising this week, including stops with various billionaires who fervently oppose the Keystone XL pipeline. The visit had the virtue of showing how Mr. Obama is cross-pressured between his superrich green friends who don’t need to worry about a job and the blue-collar types who wouldn’t mind laying oil pipe for $25 an hour. This entry was posted in Alberta Politics and tagged Alison Redford, Barack Obama, Cal Dallas, Diana McQueen, Keystone XL Pipeline, Ralph Klein on April 10, 2013 by Dave Cournoyer. The bitumen bubble is shrinking as fast as Redford’s approval numbers! Does this spell trouble for her in the Tory leadership review this November? Ms Redford’s latest trip is a exercise in public relations. 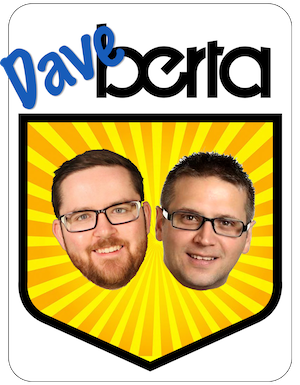 It’s about showing Albertans she’s doing something. It will have little to no effect on the decisions made by American decision-makers. Apparently bitumen is a bit like bubble gum… when you blow to hard, the stuff ends up all over your face. The big loser here is the Wildrose. With these commodity numbers we will soon see a balanced budget. Guys, Red Fraud is the perfect premier for Alberta. As a non-PC voter I think she is perfect to bring about turnover and change as she plunders the economics of this province and takes a hatchet to public services and picks a fight with almost everybody. IF the XL pipeline fails, she will have completed her perfection to bring about change. While fairly intelligent, she is taking excellent leadership to trash and destroy the Tory Party. No other Tory contestant could destroy things this badly SO FAST! In that respect, she is the best premier to bring about change, as she brings about the gutting and final political destruction of the Alberta Tories. Raise a glass to Red Fraud and RIP Alberta Tories. True Turnover, would involve the Wildrose as Gov’t and Liberals as official Opposition. Wildrose should likely change their name to the Conservative Party of Alberta. In fact, the Wildrose should change their name anyway to the Conservative Party of Alberta, to get in line with their Federal Cousins. Come ballot day, many Bumpkin voters, will not be able to even tell the difference. It’s good you cited the 35 permanent jobs. The MSM, and especially their business columnists, and reporters, rarely bother to cite this. And? …informing citizens so that they might be able to participate from an informed basis in their democracy to make it function. Perhaps we should pass the hat to get Ms Redford a fire extinguisher for her pants as a parting gift? You say no new pipelines opened, but in reality the reversed Seaway pipeline did reopen. The day it opened the gap dropped $10 in the futures market. It moved around a bit after that but narrowing the gap was almost a certainty. It’s expansion comes on in about a year and should continue to hold the gap low for a while. If Alberta keeps upping production another pipeline will still be needed. Oil prices are so inelastic that a tiny supply glut can kill off the prices tremendously. New entrants make money for themselves but kill of prices for everyone else. A “tragedy of the commons” for rich oil producers and Alberta if you will. Oh my Watson: you have so doused the erection for Danielle crowd, Paul will be as deflated as the bitumen bubble. And Joe, if we wer’nt sending 8.5 BILLION DOLLARS to Qweebec a year to hate us,, there would be no deficit, but if we had no deficit,, then 230 billion in debt Queebec, and 350 billion in debt Ontario would be wailing at 24 Sussex round the clock for Albertas money, it is hard to win when your the smart top dog. It’s no surpise, it’s seasonal. The differential tends to thin out in spring and summer as the demands for asphalt begins to ramp up. I was told by a petrol engineer that the product of this pipeline is destined not for U.S. consumption but for sale overseas. Any truth to this claim?